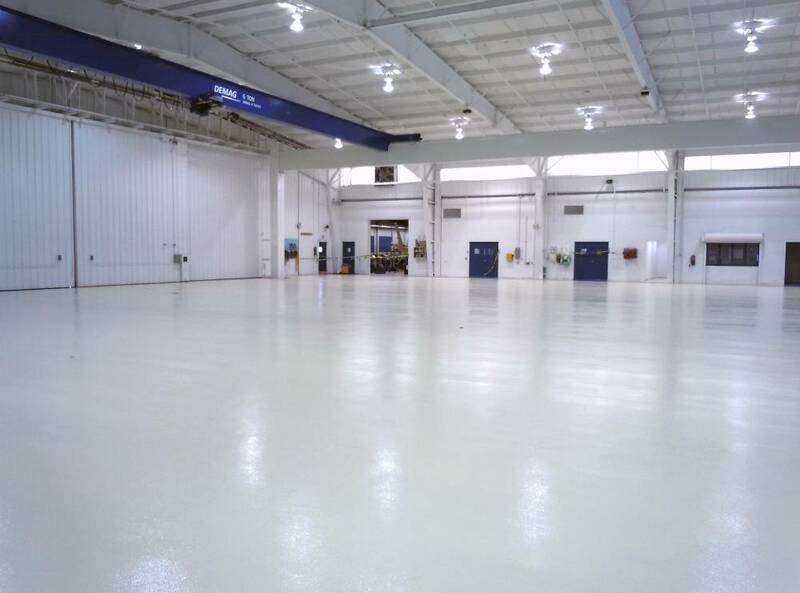 Hangar 1 Epoxy floor coating provides easy to clean protection against traffic, impacts, and fuel spills. 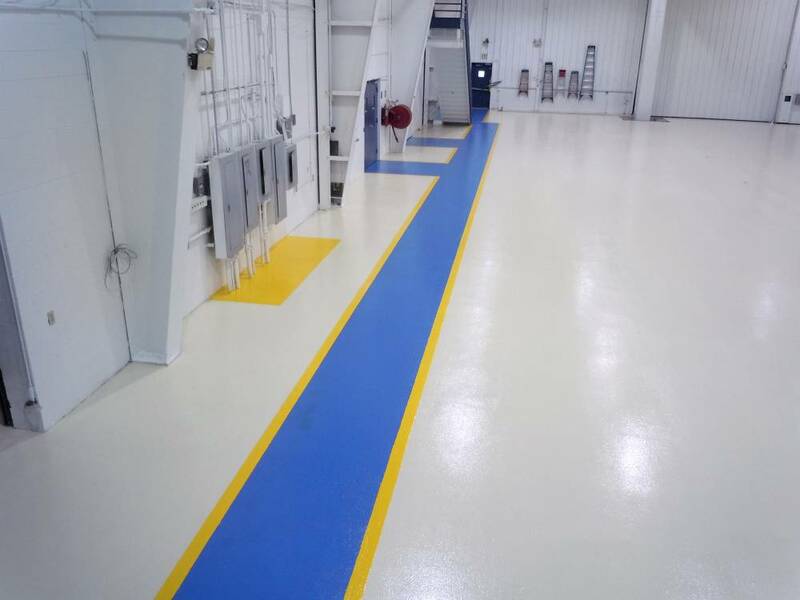 Hangar 1 Walkways and electrical equipment are delineated in yellow and blue for safety. 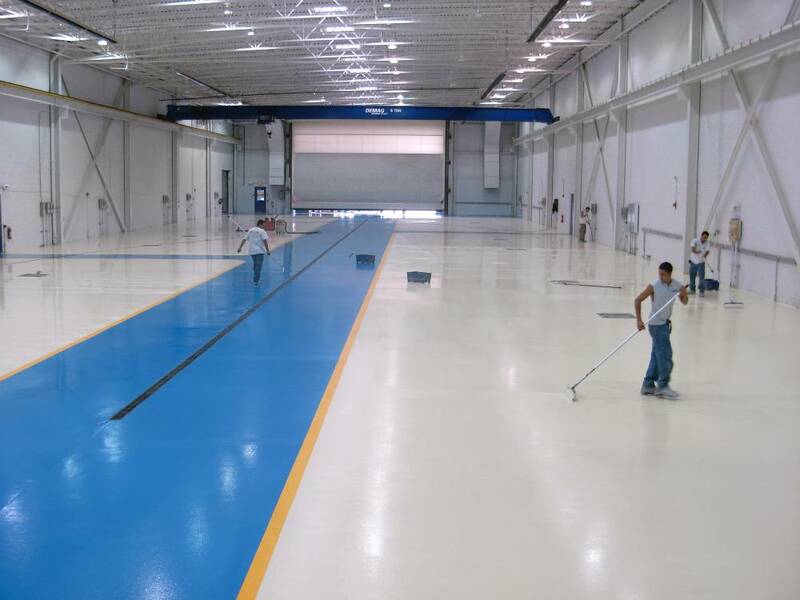 Hangar 1 The light color brightens the hangar and facilitates FOD (foreign object damage) detection. 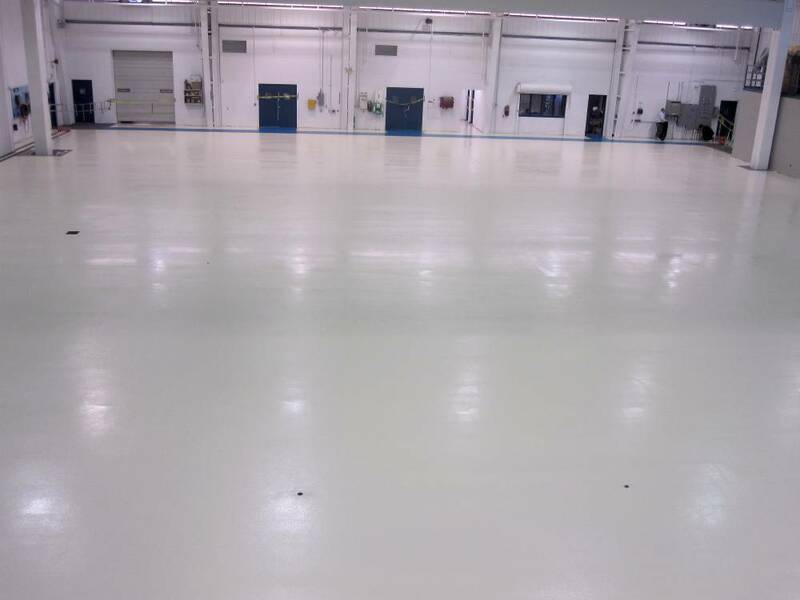 Hangar 2 Final epoxy floor coating is applied to a second hangar. Note the traffic aisle is delineated in blue. 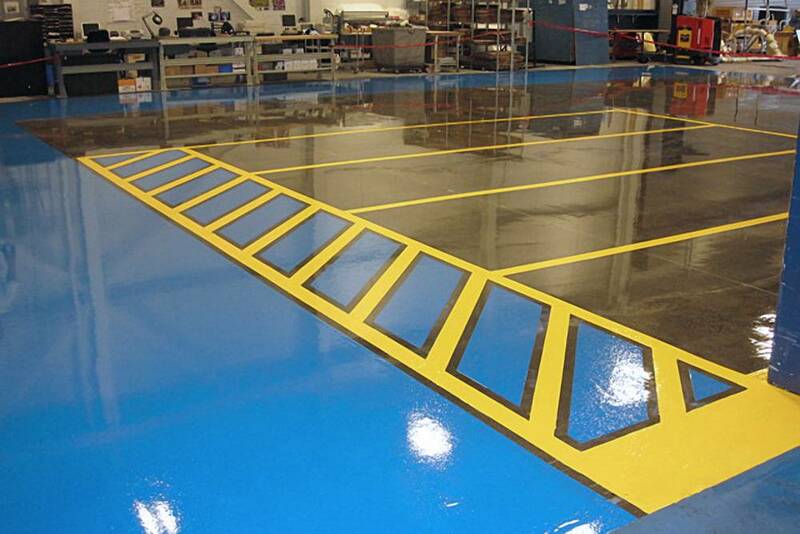 Shipping Area Clear epoxy floor coating provides protection against traffic wear in this shipping area. 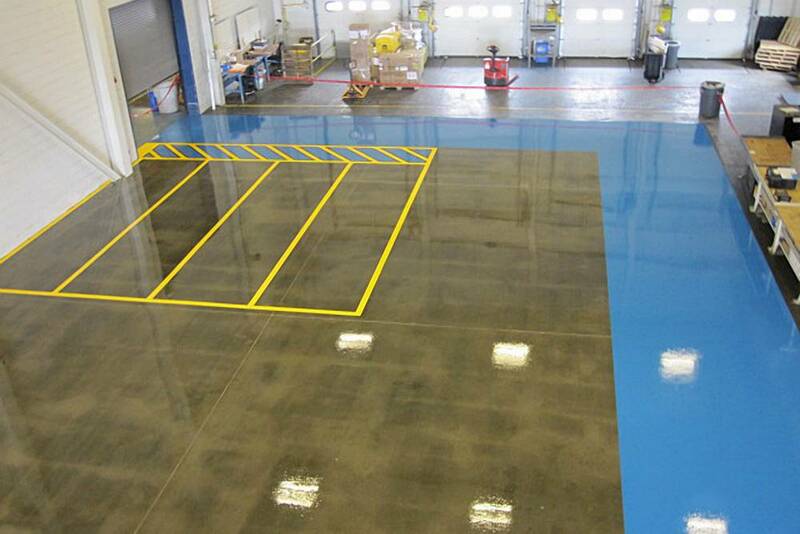 Shipping Area This coating will also resist damage from fuel and chemical spills. 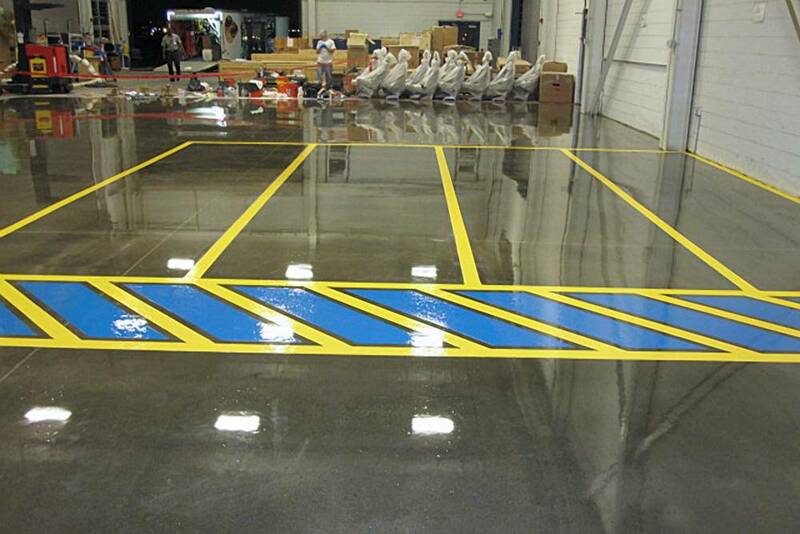 Shipping Area Staging areas are delineated in yellow outline, blue areas are for foot traffic. 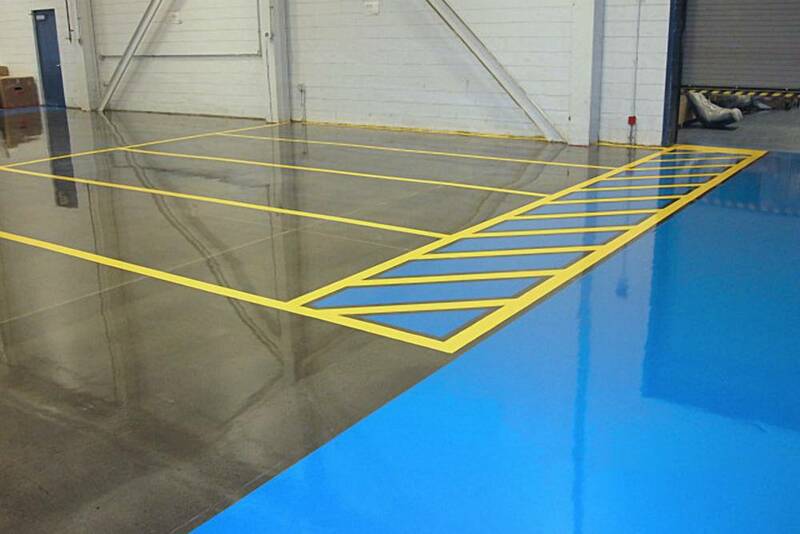 Shipping Area The coating also prevents concrete dusting which can occur in a busy warehouse area.